Your soccer superstar may be sad the season is ending, but now it’s time to celebrate the team’s hard work with a fun-filled party. Using these ideas, you can channel your inner organizer and sign off on a season to remember! 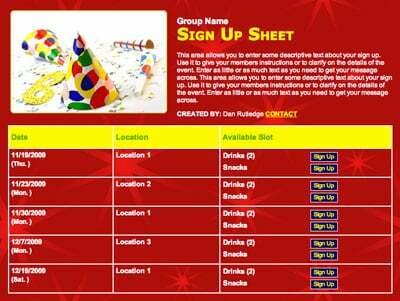 Schedule your party at a special venue to maximize the fun and end the season with a bang! Jump Around - Rent a party room at a trampoline park so kids can let loose and bounce out some energy. These venues can also include trampoline dodgeball and slam dunk contests, so kids will love the action! Laser Tag for the Win - This is a great option for the players who didn’t get enough competitive action during the season. Kids will run out some energy while playing to get a victory for their team. Backyard Bash - If any parents of players have a large backyard, this would be a great time to host a party there. While backyard party games and relay races will entertain the kids, parents can relax and cook burgers for some mealtime grub. A Pizza My Heart - If someone doesn’t like pizza, they must be a wierdough. Just kidding! But seriously, reserve a table at your local pizzeria for a fantastic party venue where kids can chow down on some pizza and celebrate an amazing season. Arcade Night - Let your soccer stars dip their toes in another type of gaming for their end-of-season party by taking them to an arcade. Kids will love the variety of arcade games that they can choose from — just make sure they have enough tokens! 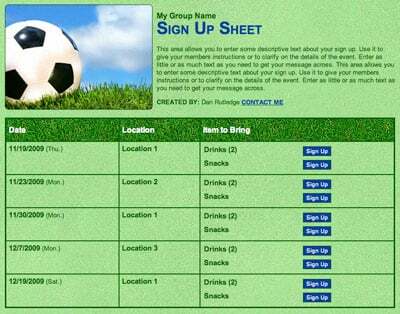 Plan some soccer-inspired games to keep the amusement rolling and kids entertained. Yellow Card Freeze Tag - Choose one person to start out as the referee and supply them with a stack of yellow sticky notes. The rest of the kids will line up on one side of the room before trying to sprint to the other side and back after the referee blows the whistle. While they are sprinting, the referee will attempt to tag them with a yellow “card” as they are running. Whoever gets tagged with two cards becomes the next referee! Soccer Piñata - Bring in a soccer-inspired piñata filled with candy and let teammates give their best effort (while blindfolded) to knock the candy out. When someone breaks a hole in the piñata, kids will try and scoop up as much candy as possible! Balloon Soccer - Set up a mini soccer field and substitute a real soccer ball with a balloon for a fun game that encourages teammates to work together to get the balloon in the net. Soccer Bowling - Create your own bowling alley with water bottles for pins and soccer balls instead of bowling balls. Have kids kick the ball to knock pins down and keep track like a regular bowling game with spares and strikes included. Balloon Pop Relay - Divide kids into two equal teams and place the same number of balloons as players across the room. The goal of this relay is for every teammate to run and pop a balloon by sitting on it before running back and tagging the next teammate. The first team to pop all their balloons wins! What’s a party without fun snacks to feed players and parents? Here are some unique snacks to fit in with your soccer-themed banquet. Soccer Pops - Decorate a cake pop with black and white icing to make an edible version of a soccer ball that kids will love. Turf Cupcakes - Pick your flavor of choice and add textured green icing to make it look like grass. Top it off with a decorated Oreo to add a soccer ball! Game Ready Guacamole - Mix up avocados and your favorite ingredients to make the perfect dip to snack on during a party. Create goals out of pretzels and add the lines with sour cream to produce a mini replica of a soccer field. Soccer Popcorn - Make this cookies n’ cream treat to satisfy everybody with a sweet tooth at the party. Crush some Oreos and melt white chocolate to add to popcorn and you’ll have a hit snack in no time. Jersey Cake - Make or order a cake designed like your team’s jersey. Include everybody’s name on it so when it is served, players can have their name on a slice! Show the players how much their hard work matters with special awards. Most Improved - For the player who may not have started the season off with a bang, this goes to the teammate whose hard work and determination paid off on the field and showed the most overall improvement. Team Spirit - Every coach has a goal for players to exhibit a positive attitude and pride for their team. This award goes to the player whose loyalty never falters. Give it to someone who always does their best to help the team do well. Dream Team First Pick - This award is for the most valuable player on the team. With stats like theirs, they are the ideal first pick for a soccer dream team. Good thing they’ve already committed to your team! Hustle - To the player who always gives 100% in practices and games. You wish everyone hustled this hard to get the win! Golden Boot Award - Just like in the FIFA World Cup, this award goes to the top goal scorer of the season. With these ideas in your equipment bag, you’ll be able to throw a kickin’ good party that recognizes the accomplishments of the players, parents and coach. Celine Ives is a college student who enjoys playing field hockey, cuddling with her dog and cheering on her Carolina Tar Heels. 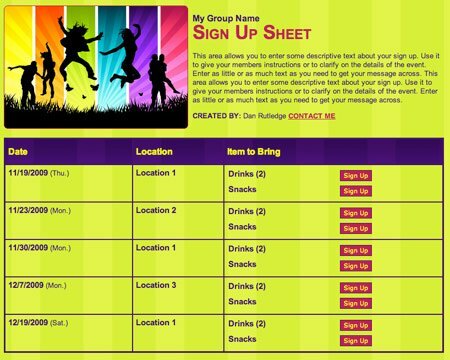 Organize a team awards banquet with an online sign up. Just dropping you a line to let you know that I have used your site for several different teams this season. One group had never seen it before and thought *I* was a genius for introducing it. So, thanks!